Reaching an organizing goal is exciting. Whether it’s culling and scanning a lifetime of photos, or finally parking your car in the garage, or getting your closet in tip top shape, it feels great to accomplish these tasks and reap the benefits of living with less. However, our work is never quite finished. In order to truly live a less cluttered life, we have to maintain our work, and that can be a challenge. You probably wouldn’t go out for a banana split right after hitting a new weight goal, right? 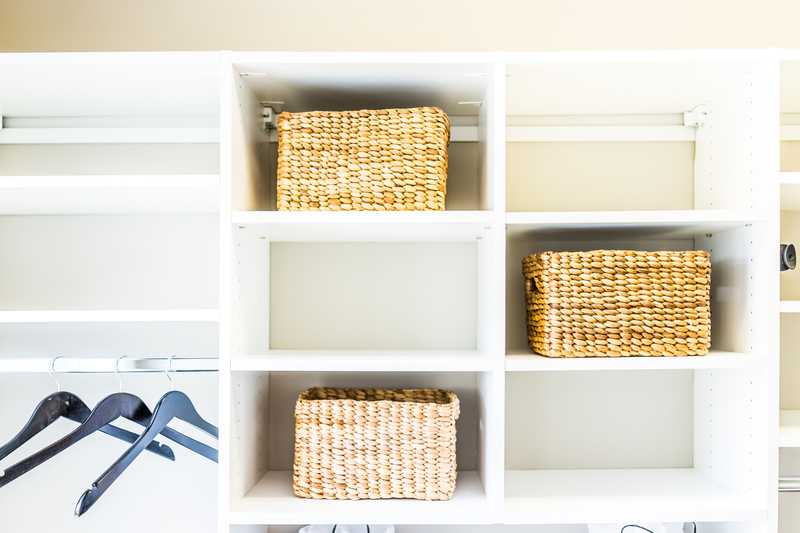 So let’s look at some ways you can maintain your organizing nirvana once you reach it. One in, one out: To keep clutter from accumulating, the stuff in our life needs to flow. And by that, I mean as things flow in, there always needs to be things flowing out. Create a one in, one out policy so that before anything new comes into your house, something first must leave. If you really want a new book, you first must part with an old book. If you’re jonesin’ for a new pair of sandals, you first must part with an old pair. You get my drift. Make it easy to give things away: Keep a bag in your closet for clothes that don’t make you feel like a rock star. Set up a box in the garage for things that no longer serve you. Designate a spot for your kids and other family members to toss items they’re ready to part with. Set a day each month to drive these things to your favorite local thrift shop. Do it daily: Build daily habits around certain organizational hot spots. For me, it’s my kitchen countertops. Each night, before I can go to bed, I go through the pile of paper that inevitably accumulates there, sort it, recycle what I don’t need, and file away or take action on the to-do’s. I wipe down the counter so when I wake up in the morning, I have a fresh surface to work on. Notice where your hot spot is and try to tackle it each day. Get comfortable with empty spaces: Once you’ve done a major home cleanout, you may have some (gasp!) 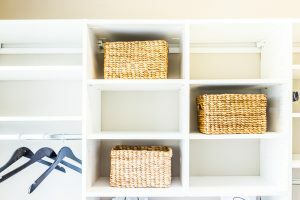 empty drawers, cabinets or even closets. Don’t panic and fill that space! Like an uncomfortable silence, empty spaces can make people feel nervous. Learn to love that white space and let it just be empty. Hit the pause button before buying something new: We all know that the temporary high we often feel after a purchase is just that…temporary. While it may feel good to find an awesome bargain at Home Goods, or pick up three of the same shirt in different colors on sale at Old Navy, that happy feeling fades quickly. Prior to making impulse buys, try to hit the pause button and walk away. If you’re still thinking about that item the next day, and experiencing some shopper’s regret, go back and get it. But if that desire to buy has passed, let it go. Unfortunately, unless we move off the grid and stop shopping forever, our organizing work is never really done. But we can put the odds in our favor of keeping our systems going by following a few of these tips. Happy spring cleaning and keep neat!